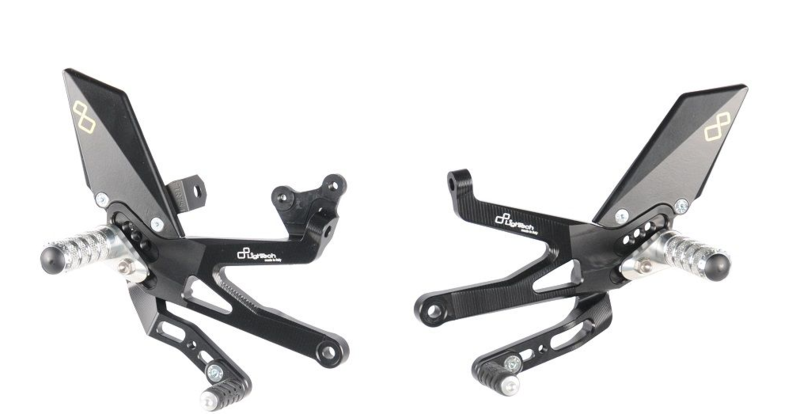 I ordered one from Ducparts, they have a similar setup with intentions of using it with the DP racing plug. Might have to cut the 2 holes in the plug into 1 bigger hole so wires for the turn signals and plate light can get through. Looks like theirs angles the plate up. I wanted mine angled down. I will use the DP plug's mounting holes as intended but then drill a hole in the center for wire routing. Last edited by joshp14; Apr 10th 2018 at 03:01 PM. Yeah, I want mine angled down as well. Shouldn't be difficult to just bend it a bit. Any idea where I can get folding mirrors? 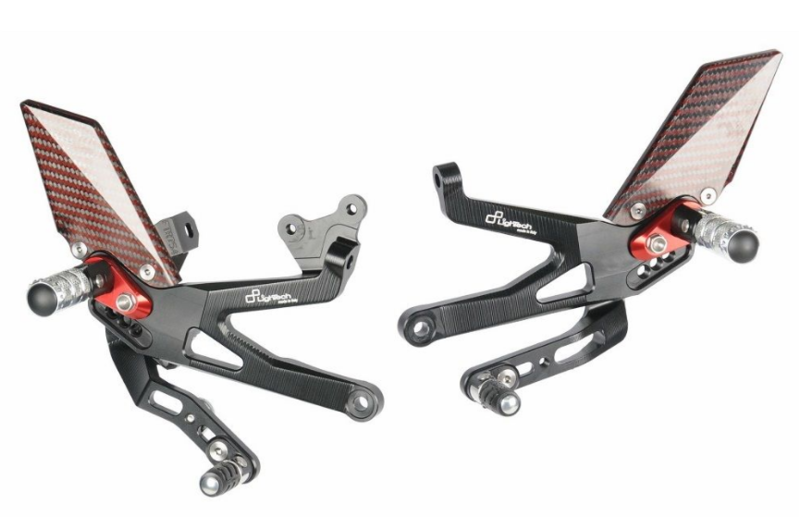 Not sure if anyone posted these yet..
1) Do you know the stock spring rates (shock and forks) for the V4 S? 2) Will you sell fork springs for the V4 S?